Too much thatch can create a barrier that keeps moisture and air from reaching the roots of the lawn. As a result, de-thatch in the spring, mid-summer, and fall if you want to keep your yard and field healthy and attractive. Lawn dethatcher is a great solution to remove the thatch. Pick an efficient one to get the job done and get you back to your weekend. 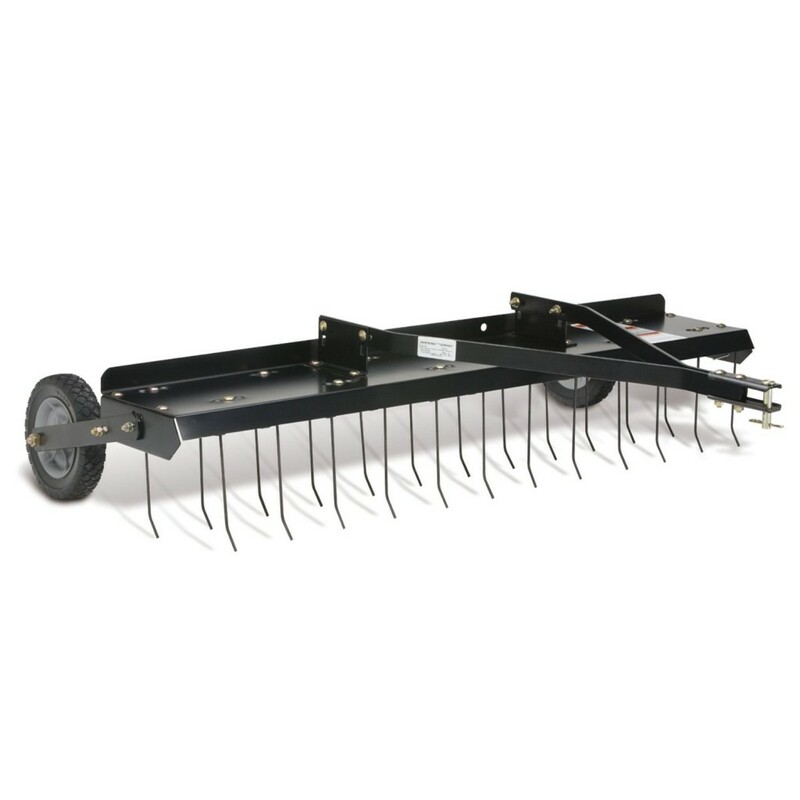 Gently remove the thatch that can harm a lawn in the spring and fall with the Brinly DT-40BH Tow Behind Dethatcher. This tow behind dethatcher offers two rows of 10 independently flexing tines for maximum thatch pick up. There are three modes of operation, including Dethatch, Scarify and Transport, to provide versatility. The unit can easily cross driveways and paths thanks to its easy-to-engage transport wheels. 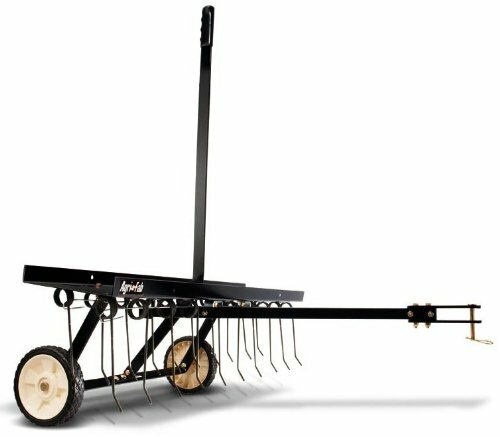 If you are looking for something easy to use, yet efficient to uproot dead, matted grass and dislodge hard-packed dirt, then you will be pleased with the Agri-Fab 40-Inch Tine Tow Dethatcher. 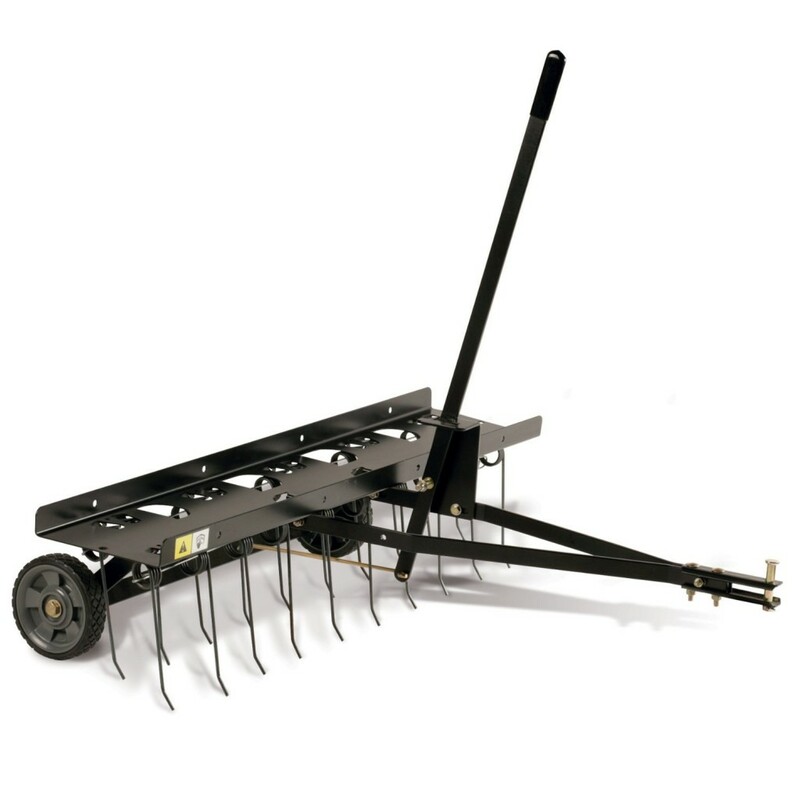 This tow dethatcher features twenty 3/16-inch spring-loaded tines which are heat-treated for greater durability in tougher conditions. It also include two 7-inch diameter semi-pneumatic wheels with a width of 1-1/2 inches, making it easy to traverse most any terrain. 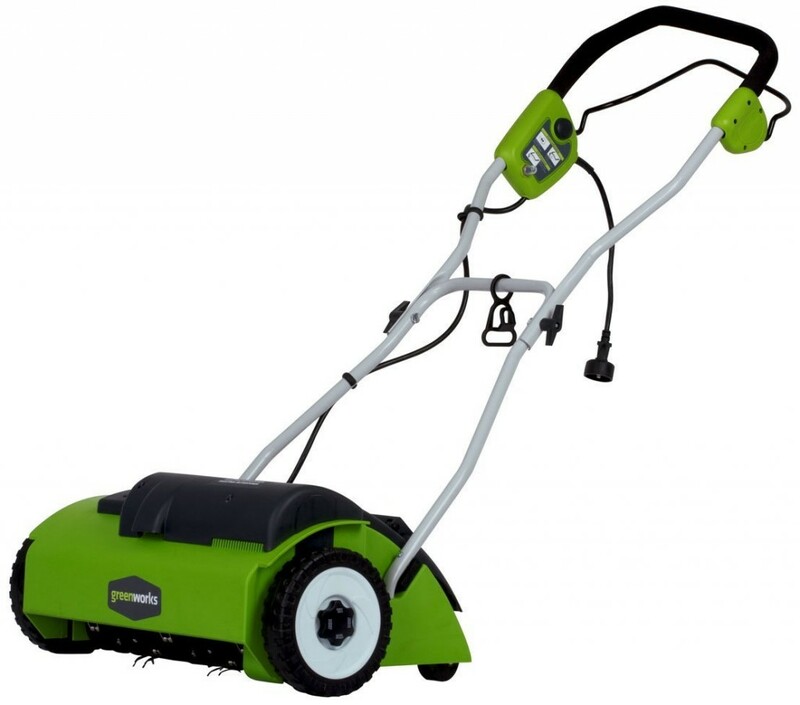 Create a healthier and more beautiful lawn with the Brinly DT-48BH Tow Behind Dethatcher. Easy to use and works great, this dethatcher offers wide 48 inch working width for larger yards that covers more ground for quicker results. And the heavy duty steel tow bar with universal hitch pin will fit most tractor models. Lightweight and efficient, this unit is great for anyone who needs a excellent tow behind dethatcher. 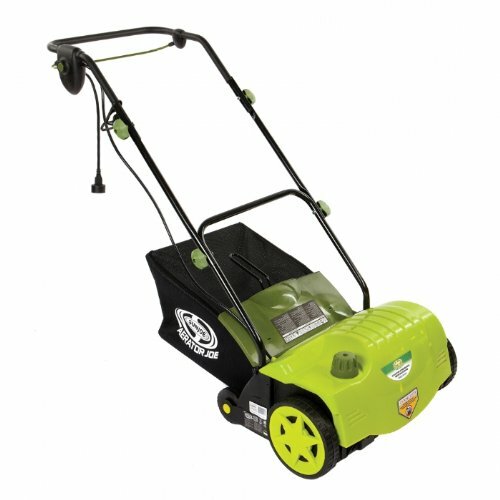 Anyone who likes to take care of their own yard will love the GreenWorks 27022 10 Amp 14″ Corded Dethatcher. This corded dethatcher uses the robust 10 Amp motor which delivers comparable power to gas powered dethatcher without the hassle. It offers 3-position tine depth adjustment for greater control by removing matted layers to promote continued lawn health. The ergonomic, padded grip and adjustable handle ensure maximum comfort. Equipped with an 11 Amp 3,600 RPM motor, the Sun Joe Dethatcher Joe AJ800E 14 Inch 11 Amp Electric Dethatcher provides powerful and effective performance. 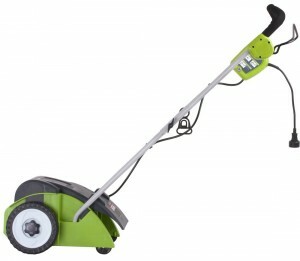 This powerful dethatcher comes with a 5 position depth control to suit your lawn’s needs. No gas, oil, or tune-ups, this electric dethatcher is easy to start and maintain. Now reinvigorate your lawn with the push of a button using this Sun Joe Dethatcher. 5 Best Lawn Sweeper – Saving time, effort and making lawn care easy.